Book #3 is nearing that exciting stage where the final edits are happening and the cover has been produced! The Shiloh series of books had their start back in the day, 1987 to be exact when I first began to research and plan my characters. Of the first two books, #2 and #3 are the most closely tied together as far as character continuity and timeline. As I was writing A Certain Death I removed and then re-added several characters and started a story line that I just found didn’t fit with the conclusion of the novel and the ending hit the cutting room floor. That ending offered instead a perfect beginning to the next novel and Iuka to Corinth can really be treated as a sequel to A Certain Death in the story lines of Philip Pearson and Will Hunter. 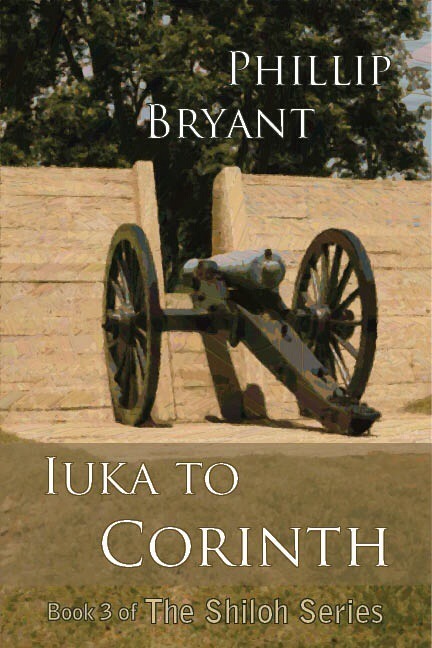 Iuka to Corinth also comes back to a battle narrative in a similar style of They Met at Shiloh where A Certain Death was more an adventure story, Iuka to Corinth develops the campaign and the action that takes place around Corinth, Mississippi in the last weeks of September and the first week of October, 1862 as William Stark Rosecrans’ divisions find themselves isolated and unsupported as General U.S. Grant’s armies are spread out over Mississippi and western Tennessee leaving the crucial cross roads town of Corinth only lightly defended. Finally, They Met at Shiloh is currently $0.99 for the Christmas holidays. Read the first in the series or send it as a gift to that civil war buff you know. Kindle or iBooks. Next Next post: New Release! 4th book in the Shiloh Series.